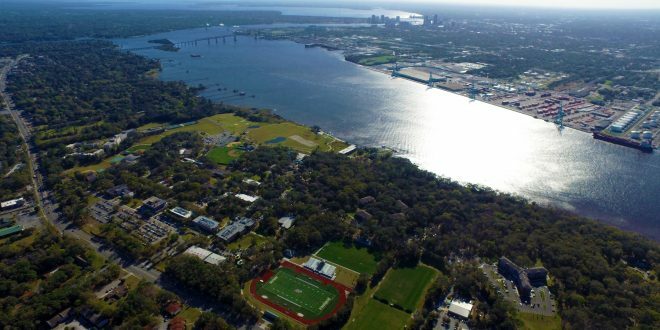 Jacksonville ranks as one of the best cities for tech outside California and New York in a new study by a leading business intelligence firm, and JU is being singled out for its importance in helping foster that thriving start-up climate with its programs and graduates. DataFox ranked the city No. 2 in its study, which uses proprietary metrics gathered from private businesses such as investor quality, liquidity and revenue growth, and adds cost of living, workforce quality, culture and education data to gauge the atmosphere for tech business start-up and success. The Jacksonville area scored particularly well in areas such as financial stability, the number of “prestigious” investment firms that have invested in tech firms, affordability, community and culture. In addition, DataFox emphasized that its review also found that great tech cities’ efforts are also helped along by strong public-private partnerships and centralized hubs that create synergy, connections and innovation. That’s where JU plays a vital role, as it provides the region with students and alumni rich in talent and ideas, encourages entrepreneurism through efforts such as the Davis College of Business partnership with the CoWork Jax incubator downtown, and provides collaborative education and community partnerships with its Florida EPIC (Entrepreneurial, Policy, Innovation, and Commerce) interdisciplinary program. In addition to CoWork Jax and EPIC, JU also offers an entrepreneurship certificate for students through the Davis College of Business, operates the Davis Entrepreneurship Organization and hosts many panels and conferences on entrepreneurism. Recently, the University brought White House entrepreneurism expert Doug Rand to campus for a lively lecture and Q&A. DataFox is a premier lead intelligence platform for sales and research professionals, applying science to automate discovery of new prospects, gathering business intelligence and identifying timely sales triggers. The company’s executives are veterans from Goldman Sachs, Southwest Airlines, Lockheed Martin, LinkedIn and Salesforce, and Google Ventures, Stanford, Goldman Sachs and Green Visor Capital are some of its initial investors.